Has your computer become notably slower over time? The answer is probably yes, and it can be frustrating to have your once speedy PC grind to a halt during the simplest of tasks. Gone are those early days of booting up in under a minute and not making that strange straining noise when you try to open a program. Too Little Storage Space – As you add more files to your PC, your hard drive space will get full up. This can have an impact on your computer’s performance. Spring clean your storage once in a while to make space. You Might Have a Virus – You could have picked up a virus which is hogging your computer’s resources and putting your personal data at risk. Run anti-virus software to get rid of it. Your Broadband Is Slow – The culprit could well be your internet connection, not your computer. Run a broadband speed checker to see what sort of download speeds you’re getting. Out of Date Software – Dismissed that software update pop-up one too many times? Yes, it’s annoying, but running out of date software could be slowing you down. Downloading Large Files – It may be that you’re downloading a large file (such as a system update) in the background, which might be grinding your computer to a halt – check what’s in your download queue. You Need More RAM – A good quick fix, increasing your computer’s RAM essentially gives it a bit more thinking space and improves speeds considerably. You Have Too Much Software – Your computer might be struggling to run several programs at once. Check which programs it boots on start up and remove the non-essential ones. Your Computer Is Too Old – Sometimes, your PC is just too old to keep up. If you can’t speed it up, it’s probably time to invest in a new computer. Speeding up your computer doesn’t have to be expensive or time intensive. That’s not to say it won’t be, but there are plenty of things to try before you have to dip into your wallet or call a professional. There’s lots of quick and simple fixes that you can do yourself, no matter how confident you are with computers. A few clicks of the mouse could be all it takes to resolve your speed issues, with freeing up hard drive space or updating software all potentially having a big impact on speed. If you’re somewhat tech savvy, there’s some steps you can take, such as replacing the hard drive or upgrading your RAM, that will give your computer a much needed speed boost. If you’ve tried everything suggested here, then it may well be time to call in an expert. Remember that this will come at a cost, and that you should make sure to back everything up first so that you don’t lose any important files. It’s very important to keep your software up to date on your laptop, no matter how frustrating that little reminder pop-up box can be. We all dismiss it from time to time, but ignore it completely, and your computer could be missing out on some critical software. Software developers and hardware manufacturers are constantly honing their programs so that you have the best experience possible, fixing bugs and tightening security. 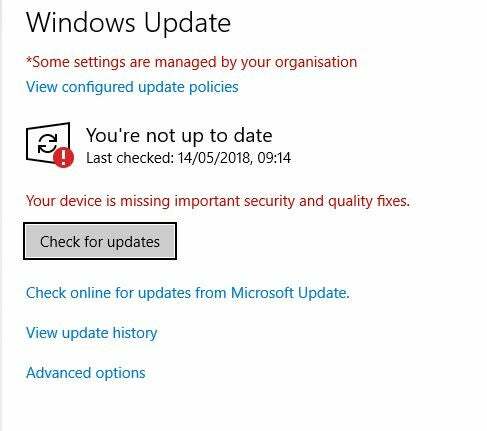 To check if your computer is up to date, go to Settings in Windows 10, Updates and Security, and then hit the ‘Check for Updates’ button. Alternatively, you can just type Updates into the Windows search bar to get there. You should have virus software installed on your machine. If not, get some! Windows has its own robust software as part of the Windows 10 package, so there’s really no excuse. At best, a virus will make your computer run slow; at worst, it can open up your personal data to scammers. 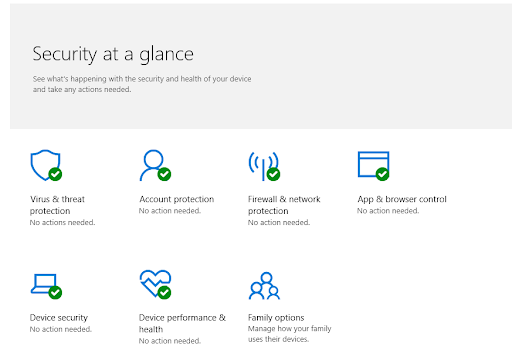 Run a scan of your computer using Windows Defender by going to Settings, Updates and Security, Windows Security, Virus and threat protection. From here, run the scan to check for any viruses. It could be that the issue isn’t with your computer, but your broadband connection. This is especially true if you’re downloading large files or sharing your connection with others who are streaming. Check your broadband speed using a site such as Speedtest.net. If your connection is slow, you’ll have to upgrade your broadband. Over the course of your computer’s life, you’ll install a lot of programs and save a lot of files. Fill up your computer too much, and your hard drive will become bloated and slow down your entire setup. Take the time to uninstall the programs you don’t use anymore, and archive any files that are taking up space. Make use of external hard drives or the cloud to free up some space. 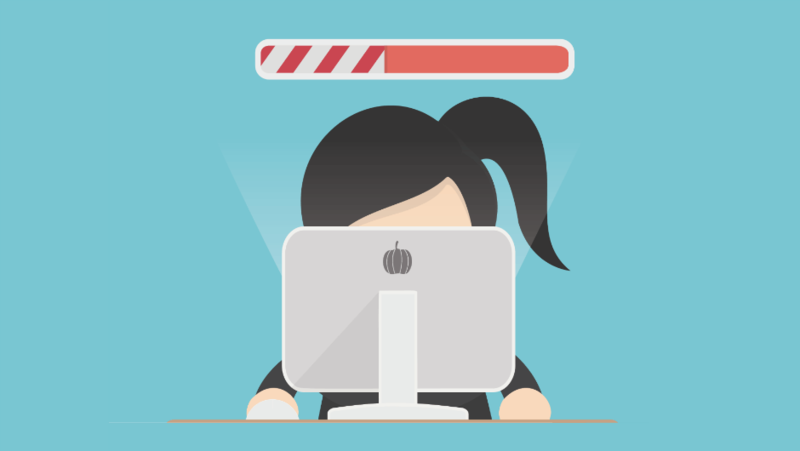 The number of programs you’re running at once can substantially slow down your PC. You can mitigate this by only opening them when you need them, not having them boot up as soon as Windows starts. In order to do this, right click on the Start menu, then choose Task Manager. From here, go to the Start Up tab to see a list of the programs that will open up as soon as you start your computer. For any that aren’t essential, right click and select ‘disable’. This will ensure they won’t start until you want them to. RAM is an essential component of any computer, and is key in how it can multitask and juggle several tasks at once. The more RAM, the snappier your PC will be. Installing more RAM is usually a simple case of unscrewing the PC case, or a hatch on your laptop, and slotting the new RAM in. 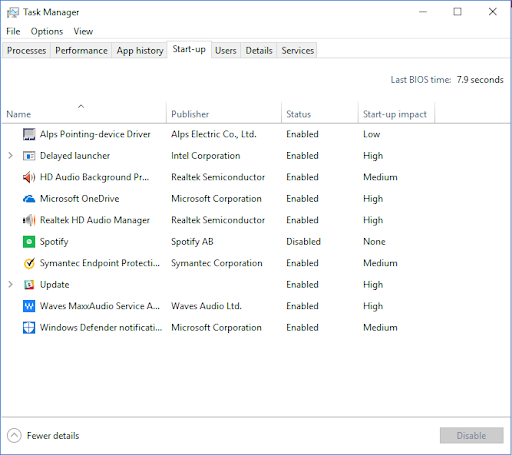 You can check how much RAM your PC currently has by going to Settings, then About, which will tell you the tech specs of your PC. There are many types of RAM, so when purchasing it, make sure to check with the retailer that the RAM you’re buying is compatible with your PC. A clean Windows install can work wonders on your computer, essentially making it box fresh again. However, it will wipe all files from your hard drive, so it’s essential that you make sure everything is backed up first. You’ll also have to reinstall all your programs again after the re-installation. A simple refresh of Windows may be enough to get your computer up and running again, so it’s also worth trying this before a full install. To do this, go to Settings, Update and Security, and then Recovery. Here you can choose the Refresh option. You won’t lose any files here. 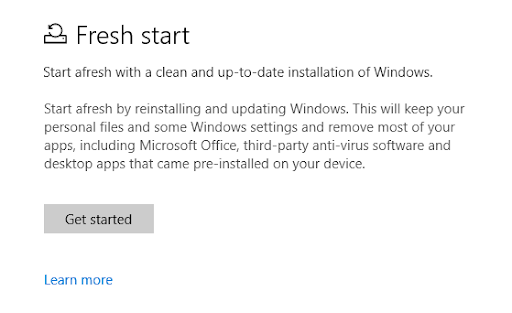 On the same menu you’ll see the ‘fresh install’ option, listed as Remove Everything and Reinstall Windows. This will reset your computer to its factory settings, but remember, you will lose any files on the PC. Traditional hard drives offer a lot of storage space at low cost, but the moving parts mean they are susceptible to slow down and breakages. A solid state drive is more expensive when it comes to the GBs you get for your dollars, but they are notably faster, speeding up not only a PC’s performance but also its start up time. Installing an SSD can be a complicated procedure for the uninitiated, and it may not even be possible if you have a laptop. Follow the manufacturer’s instructions, and ensure that you have all your files backed up before starting the procedure. Time to Get Help, or Buy a New Computer? So, you’ve tried everything, and the computer is still slower than New York traffic in rush hour. It might be time to admit defeat and employ the services of a professional. If you’re using a computer expert, try and find one that comes recommended by friends and family, and make sure they give you a complete breakdown – with costing – of everything that needs to be done. The other alternative is a new computer, which, depending on the state of your current one, could actually be a cheaper solution than a repair. Make sure you opt for one that is fairly future proof. Go for a decent processor and plenty of RAM, and you can be assured that it will last you for many years ahead.